The greatest prophet in the Bible, Moses dies at age 120 years old. But, he never enters the area known as the promised land – a place he spent a good portion of his life leading his people to. This Scripture reading from Deuteronomy 34 shows that even the best people make mistakes – and pay for them. 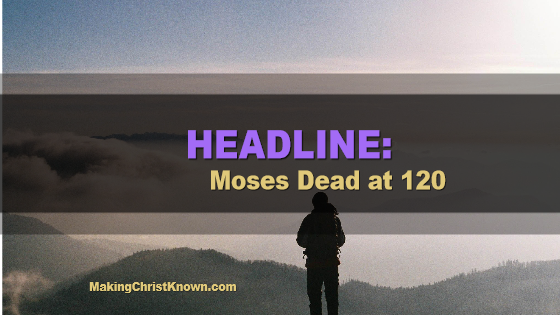 Today, we’ll explore the final verses of Deuteronomy announcing the death of Moses. And, we’ll discover a new leader for Israel. 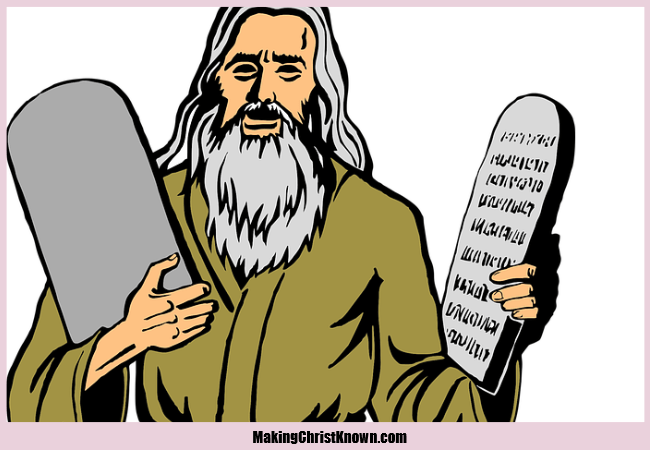 Considered the greatest prophet in the Bible, Moses began as one who was “slow of speech“. He was just a man who had no confidence and no prospects for the future. But, God used him in a mighty way. We learned in Exodus and Deuteronomy that God can take anyone and turn them into a great leader. But, it only works out if & when they follow His direction. So, why did Moses die without being allowed to set foot in the promised land? Now Moses went up from the plains of Moab to Mount Nebo, to the top of Pisgah, which is opposite Jericho. And the Lord showed him all the land, Gilead as far as Dan, and all Naphtali and the land of Ephraim and Manasseh, and all the land of Judah as far as the western sea, and the Negev and the plain in the valley of Jericho, the city of palm trees, as far as Zoar. This reading marks the end of an era – a time when Israel took the first steps toward becoming a nation. Can you imagine meeting God face to face? Of course, we all will meet Him one day. But, Moses experienced a friendship with the Almighty. And, God wants that same relationship with us. Imagine! These final days also mark a time of sadness. Moses, although he brought the people from slavery in Egypt by following God, he was not allowed to enter the land that was promised. Moses, the man who spoke to God face to face, remains known as the greatest prophet Israel has ever experienced. Yes, he was the best of the best – so to speak. So, why did God deny him passage to the promised land? With all he did for the sake of his people, Moses disobeyed God (Numbers 20:12). And, for this he was forbidden to lead Israel to their final destination. Does this seem fair? Well, in God’s view it is. You see, we can not “do enough” or be “good enough” on our own to live up to the standard of God. This is why we need Christ. He is the one who died for our flaws and inability to be perfect. Through Jesus, we have a redeemer to stand in and speak for us. Even Christians are disciplined when they sin. And, our only choice is how we react or respond to those consequences. Moses did not scream and stomp his feet when God punished him. Instead, he followed in obedience because he respected God’s judgment. Even so, he knew that he was still loved. Question, can we respond as Moses did when we are disciplined by God?